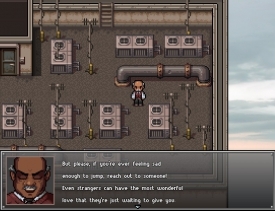 "A great looking RPG that covers a difficult topic"
The Ledge is a great looking RPG style top down 2D game where for the most part you play as police officer who has to attempt to talk a man out of committing suicide by jumping off the edge of a tall standing hotel. The game is about making the right choices in conversation to try and get him off the ledge safely without him jumping to his death. 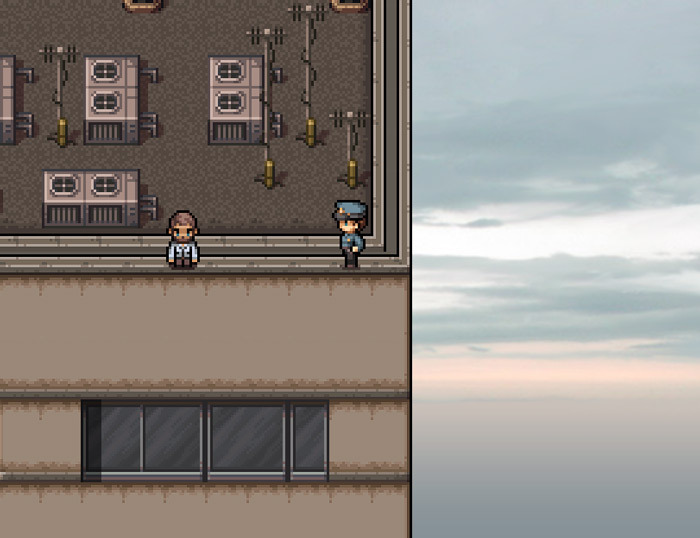 The pixel art is very cool and although the game completed in under 10 minutes there is some great twists and turns and even the opportunity to play as the suicidal man in a flashback sequence which will explain a little about how he has got in to this position. 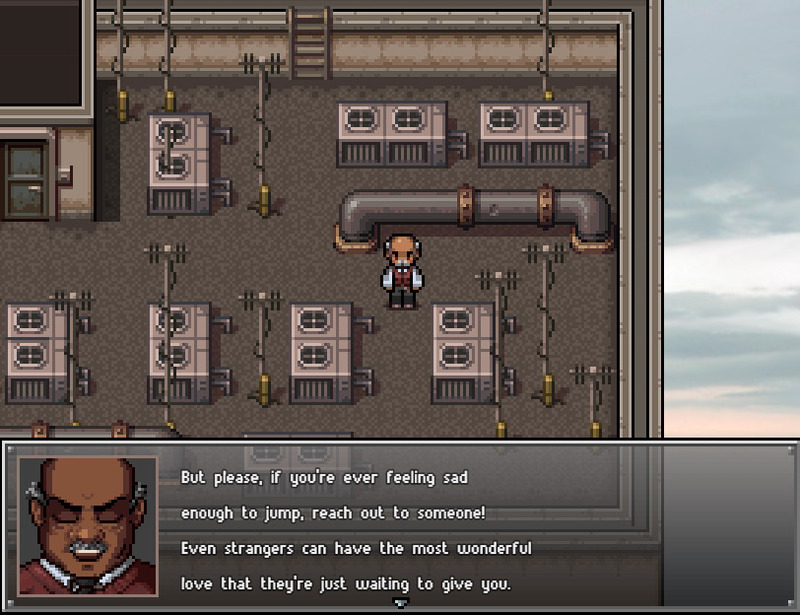 Although it is addressed at the end of the game it does take a fairly light hearted look at a very serious subject but it is done in a manner that is not completely insensitive and comes with a message that could be described as heartwarming at the end. 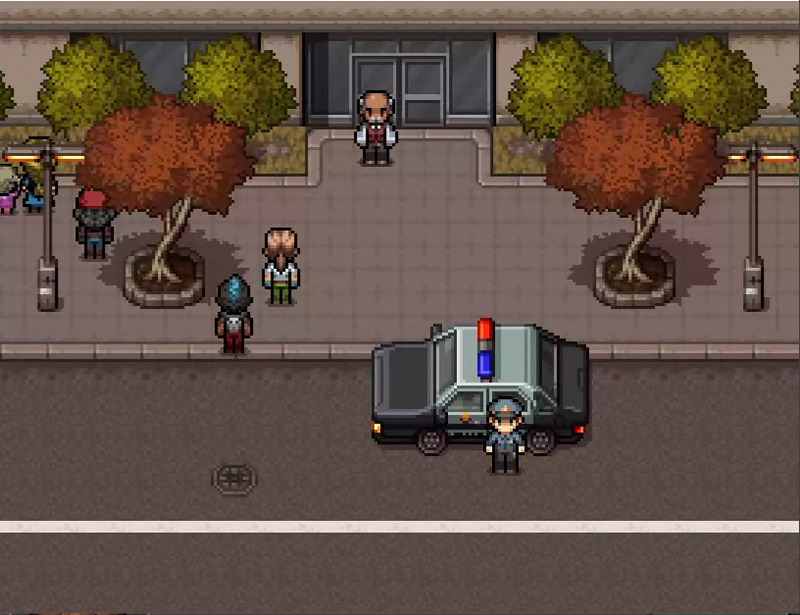 For a game that covers such a serious subject it’s an awful lot of fun and hopefully there is more to come from the developers as it’s a thought provoking yet really well thought out RPG game. You can download The Ledge here for free.